It’s been a gift to celebrate you and remember you… You were our little perfect Gift! and still are. With the school year starting and Jeremiah entering Kindergarten, I’ve been thinking that you would be going into preschool… what would it have been like for you to be buddies with Jeremiah and him showing you around CHA? “The Lord convicted me that I needed to submit to Him so FULLY that I could honestly say before God and men that I would not change the story, if given the chance… I needed this unshakable faith and trust in the goodness of God… such that I would not rewrite Tirzah’s life on this earth. These questions: “Would I rewrite the story? Would I write it differently?” … there is still the temptation… but still the same conclusion. Dearest Tirzah, my most beautiful and precious little princess, you are our perfect gift just the way you were… still, silent, yet carrying a loud message of LIFE. You brought us the gift of LIFE in so many ways: Faith, Hope, and Love in new depths, new vibrancy… and a farther reaching spectrum of emotions- more tears and steadfast joy (for now we cling to Eternity… a part of our hearts are already in Heaven with you, Tirzah. Hope in Heaven is the only true Hope, and the only true joy has eyes toward Jesus and Eternity) These tears and this joy are a little closer to the heart of God (who weeps with deep mourning and rejoices in the heights of Heaven). Tirzah, your life is still bringing us the gift of healing. We can only be healed so far as we are broken. Dan Allender once said that “trauma begets trauma”… and oh! did we find that to be true! I have a theory: that all grief, pain and trauma have the same biochemical outcome in our brains… therefore, one traumatic event can actually trigger all past trauma and bring it to the surface again. The last three years have been tumultuous for your dad and I, as not only the trauma of loosing you on this earth was felt, but all past traumas of our lives were also brought forth. This brokenness in our hearts was there before you, just buried beneath the surface. Now you have brought us the gift of healing and the gift of being “wounded healers”, by the grace of God. This is where we are now, Tirzah. Because of you we have the gift of a new calling on our lives. And when I say “we” I include Jeremiah and Judah! Ever since you were born, Tirzah, Jeremiah has a sense of empathy that is stunning for a small child. He was about 2 1/2 at that time. 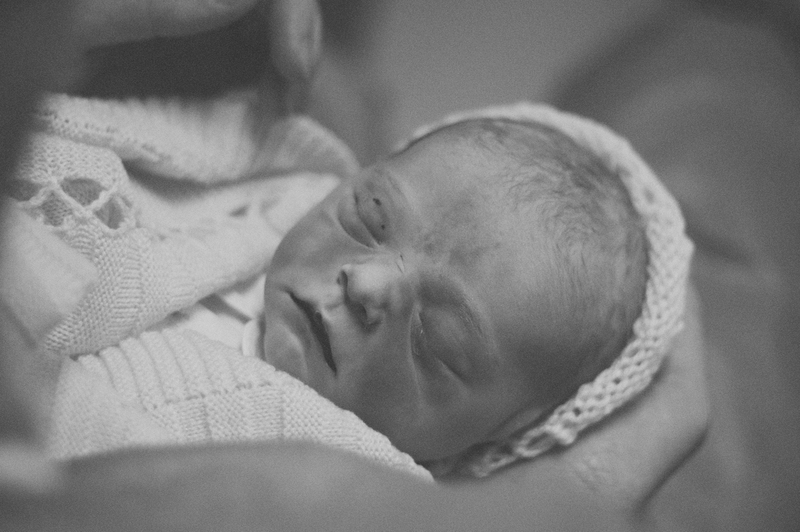 As a result of our grief over you, Jeremiah became keenly aware of emotions. When we read him stories after your birth, he would point to every character on the page and want to know how they were feeling. Every single day (this is no joke), multiple times a day, Jeremiah would hand me a train and say, “Percy is sad because there are no beetles, lets just listen to how he feels.” One day we were at a park with a sandbox (of course another mom with a similar age boy was sitting right next to me), and Jeremiah (about age 3) handed me a shovel and said, “This shovel is sad because he can’t dig, let’s just listen to how he feels.” I was a little tongue-tied… but beaming with pride. Tirzah, you’ve given him eyes of empathy… to see pain in the eyes of another. Just a couple weeks ago, (at age 5) he prayed in the evening, “Dear God, I pray that Mommy wouldn’t feel guilty…” My mouth dropped open: for him to understand that emotion, to recognize it in me, and to have the compassion to pray for me was simply stunning… and I believe Spirit-given. I believe we will see God use you, Tirzah, in Judah’s life as well. Judah’s life verse comes from Ezekiel 37: verses 4-5, 10. “The Knight family is now a family of five. Judah is our third child: his older brother Jeremiah, and older sister Tirzah. We want Judah to know all about his sister. Our desire is the same for both Tirzah and Judah: That they would both carry a message of LIFE. Happy celebration of all that she is! Thank you, Catherine, for this beautiful summation of how your family of five is carrying and will continue to carry the message of LIFE through Jesus! Happy third birthday with Jesus to my beautiful granddaughter, Tirzah! I love you Tirzah. I love all of you. I know one day we will all be dancing in the light of our Savior. I am beyond grateful for this.